Playing music that will get everyone's hips out of control! check us live at one of our showcases in New York city! Hip Control is different from any other wedding band in that every aspect of what we deliver from beginning to end is made with so much love to honor and celebrate you and your partner’s love on your big day!! We are a crew of young, professional musicians from different countries who became friends working in the NYC music scene. We simply love playing music together, getting everyone to move their hips, and putting on a great party that will be remembered for years. We play rock, soul, funk, 80s & 90s classics as well as Latin music. We will cater our music to your needs and bring our fresh, powerful sound to the dance floor. This collective is comprised of a piano player, a guitarist, 3 incredible vocalists, a 3-piece horn section, and an excellent rhythm section. We love doing weddings and it shows! "Hip Control was one of the best decision we made for our wedding reception in September 2017 in NYC. Their talent is incredible (special shout-out to Solange Prat and Cenny Ray) and their energy contagious. They sang their signature songs, but were also flexible enough to sing "La Vie en Rose" for our final dance. Our guests didn't stop dancing the whole night - they really did make our reception. Their manager and singer, Solange, was also wonderful to work with, both leading up to the wedding and on the day of. She was very on top of things and worked with us to meet our needs. They are very fairly priced and we can't recommend them enough. So happy we made the decision to have a live band at our reception, specifically Hip Control". - Joanna A. November, 2017. "We found Hip Control by sheer luck, but boy did we get lucky! They were an amazing band for us. We hired a full 10 piece band, which included 3 singers and a horn section. 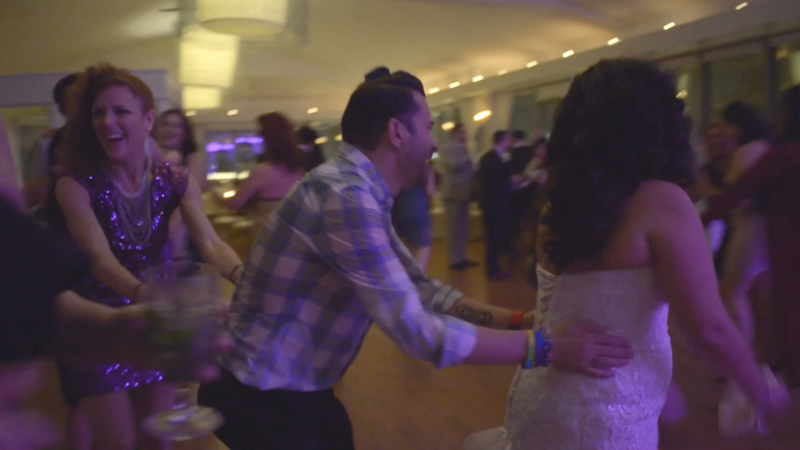 We had 120 people at our wedding and we were dancing non-stop. Hip control was great at playing all genres of music, from classic Motown records to modern day top 40 hits. The sound was full and all live, they didn't need any backing track nonsense. We went to countless band showcases around town; most felt stiff, like the band was just doing their job. Hip Control is youthful and energetic; they had great stage presence and really kept the party going. We got so many compliments from our guests about the band! We couldn't be happier!" – Brian & Jeun. October, 2016. “Highly recommend!!! Working with Solange and Hip Control was a smooth dream in the madness that is wedding planning. Solange is professional, kind, and has excellent musical taste. We gave her general tips on our music preferences and let her manage developing the set list. Her selection and setlist was excellent. They nailed it and had our party dancing and crying with joy. 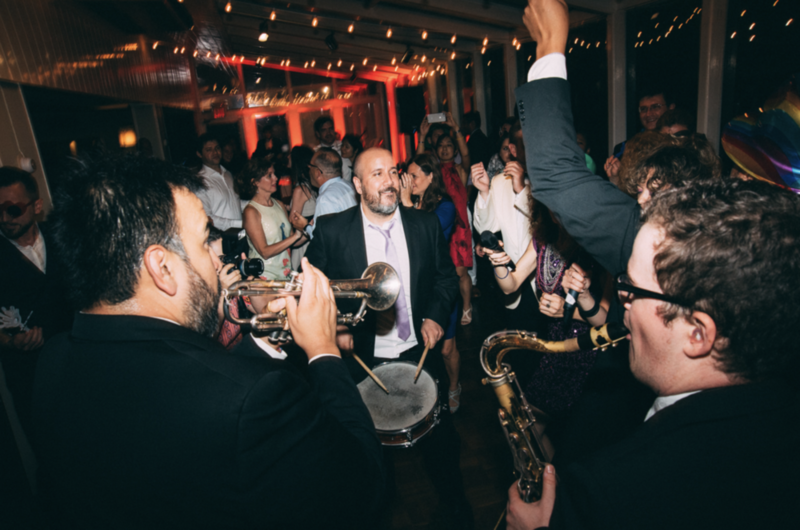 It was literally the best party of our lives many thanks to Hip Control's musical performance.” – Celeste Krishna. September, 2015. 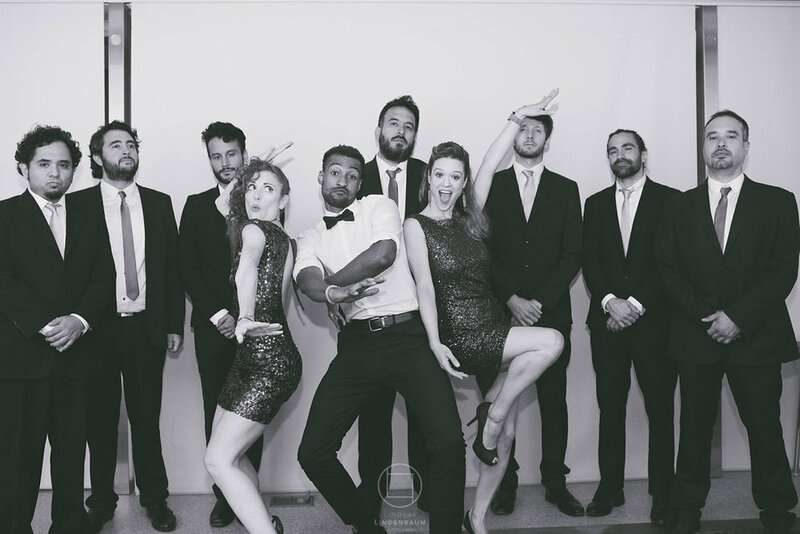 “I'm so relieved to have found such a talented and glamorous band for our upcoming wedding. Solange has been super professional to work with. Now I know that the entertainment (the most important part of the reception!!) is one less thing for us to stress over. I highly recommend this band after seeing them perform at the showcase-- I mean, they have a horn section!?! We were so impressed we decided to book all 10 band members. I can't wait to see our guests on the dance floor!” – Autumn M. October, 2015.